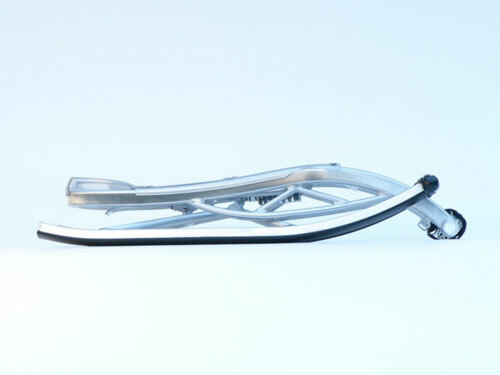 The spring mounted seat suspension with 165 mm steel spring- shock absorbers, through which the bumps and shocks of the slope (for example with jumps) can be absorbed, is absolutely new in the sledding industry. 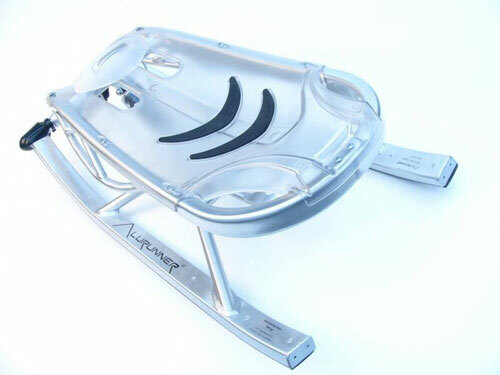 The spring deflection rate of the rear seat is 12 cm and makes sledding with the Alurunner® significantly less stressful for back and joints than with conventional sleds. The force of the shocks to the spinal column while sledding is often underestimated, even for young people. But also safety is significantly increased by the vastly improved stability. 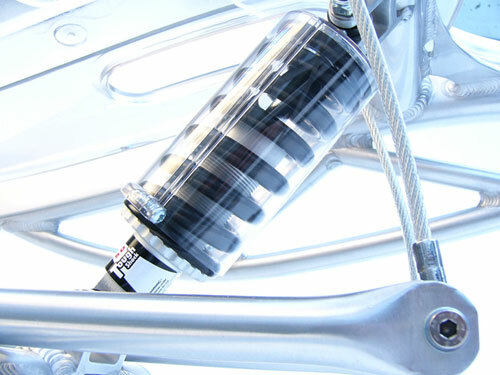 The shock absorber is individually adjustable according to weight and demands. 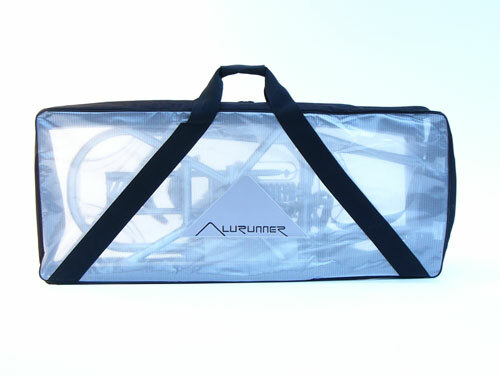 The collapsible aluminum frame makes space-saving easy storage and transport possible. Simply push the upper part of the sled with the seat up onto the runners, slide the shock absorbers in the specially made retainers and close both quick-release fasteners toward the front, put on the security cover and the Alurunner® is ready for use. The sled can be just as easily collapsed again, put back into the carry bag included in the delivery and easily transported. Ergonomically formed, transparent seat made of Makrolon® with grippy anti-skid nodules ensures a comfortable sitting position and secure positioning. It is made of a plastic material from which motorcycle helmets are also manufactured and is considered indestructible. The seat shell is screwed on and rounded on all the edges. 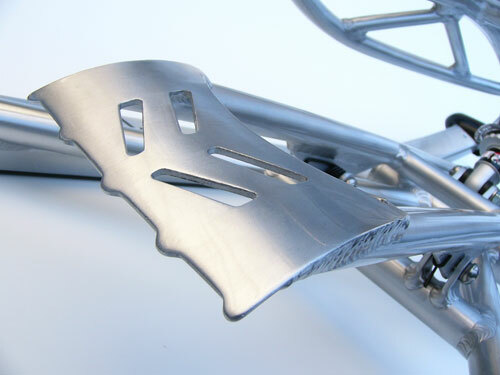 A wide aluminum claw, which is mounted and centered under the seat, ensures effective and safe braking. By pulling the wide and easy-grip handle, the claw grabs the ground exactly under the center of mass, without influencing the direction of the sled. The brake can be operated with one hand and can be sensitively regulated as well. The wide aluminum runners of the Alurunner® are additionally equipped with polyethylene-glide tracks. 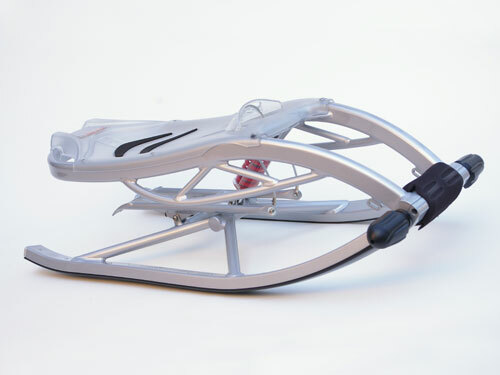 This facilitates a significant improvement in the gliding capabilities of the sled, even under less optimal snow conditions. The gliding surface can be waxed or repaired, as with skiers. 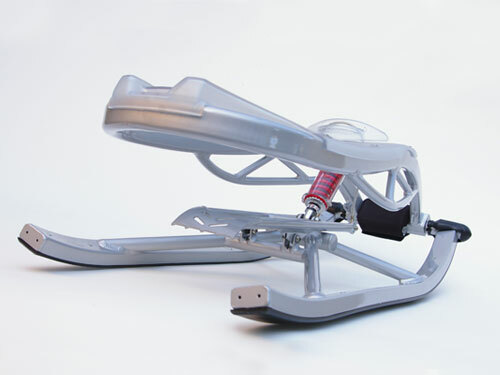 Throughout differing tests under varying conditions by independent teams, the Alurunner® was, without exception, able to outdo all its competitors (from the classic Davos-sled to the sport sled and onto bob sleds.) The glide tracks are designed together with the aluminum profiles, fastened by screws from above, and are therefore replaceable.